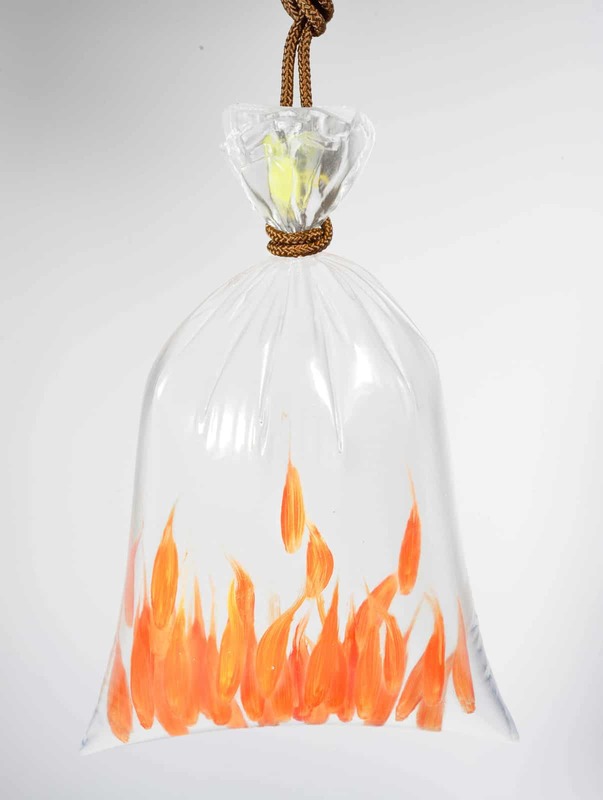 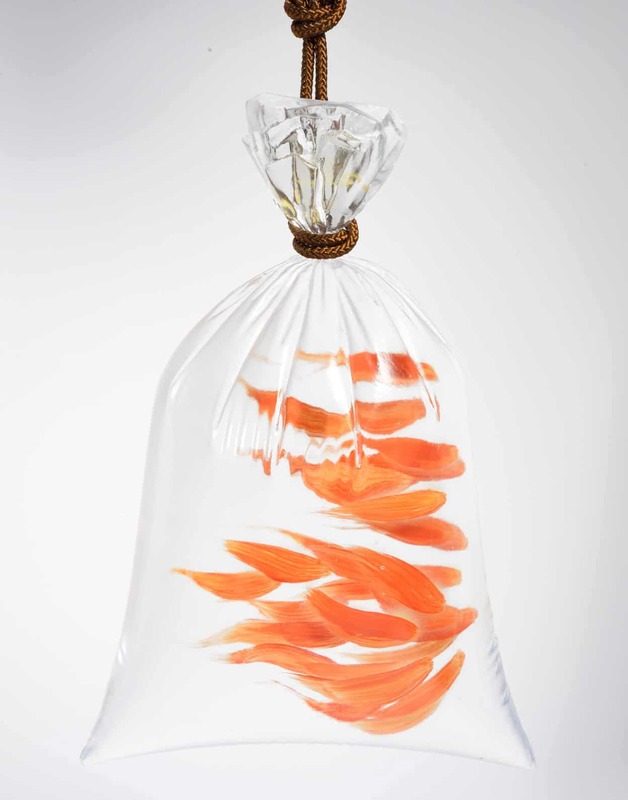 Riusuke Fukahori has always admired the appearance of goldfish, immortalizing realistic depictions of fish in layers of acrylic and resin. 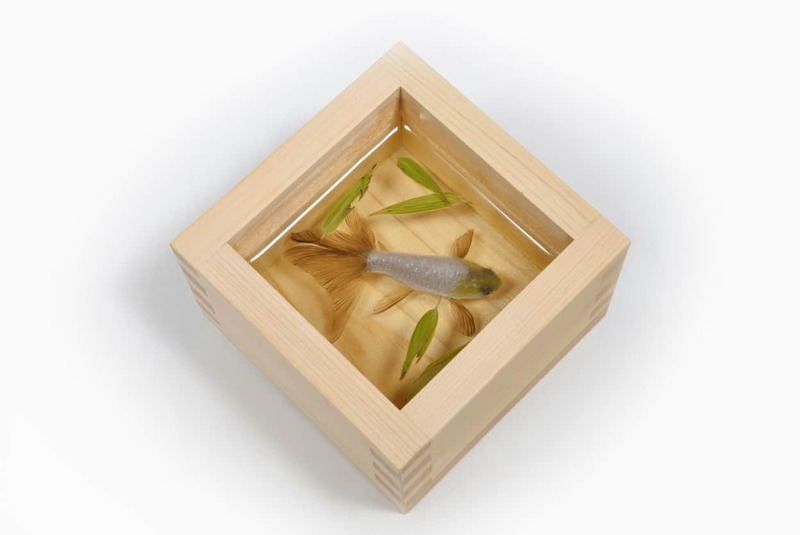 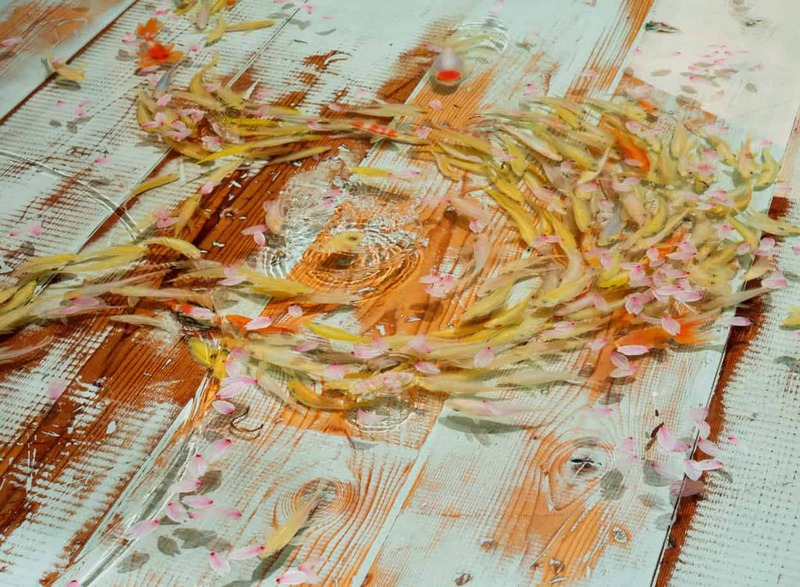 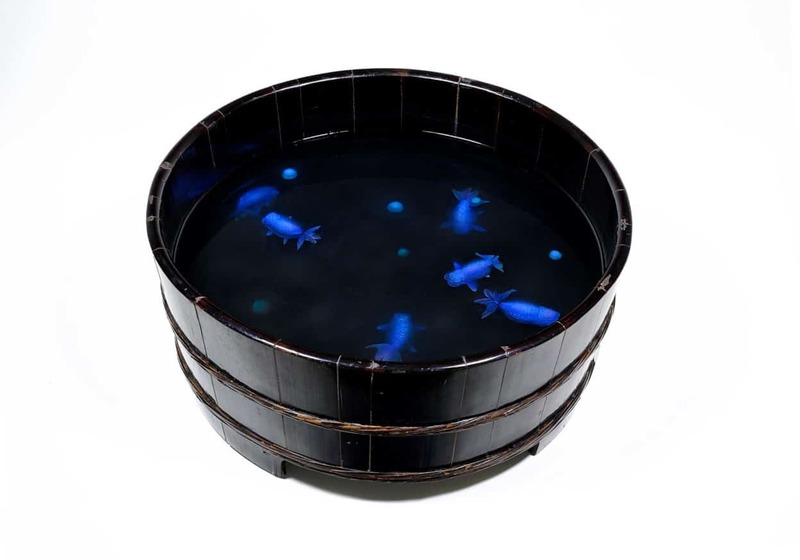 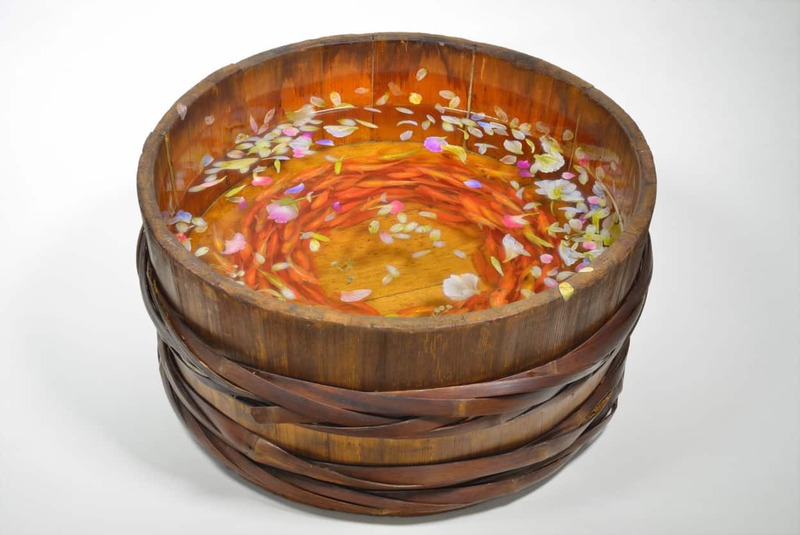 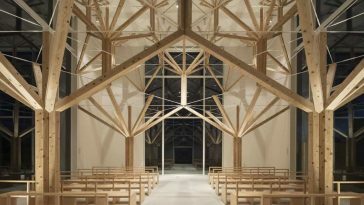 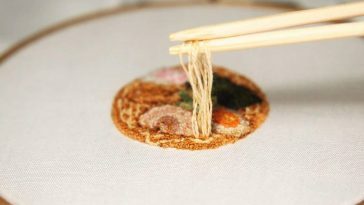 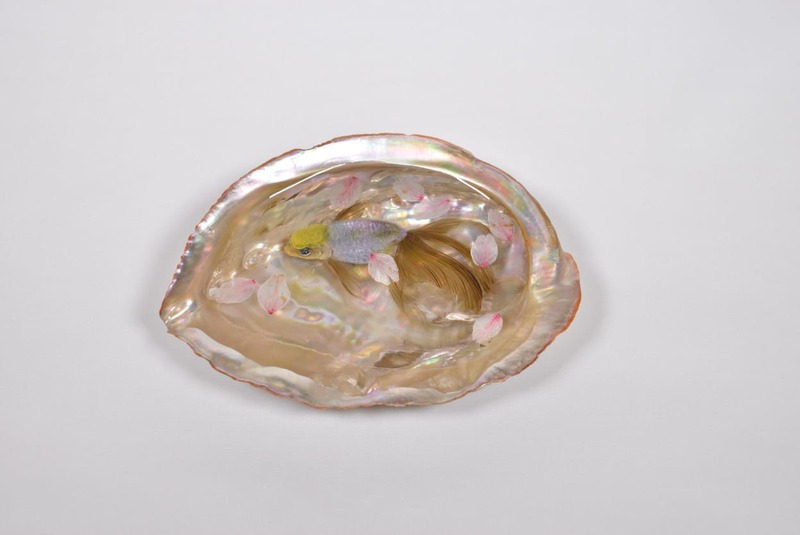 Previously Fukahori has focused on paintings of goldfish moving inside of Japanese household items such as bamboo hats, wooden sake cups, and handmade bowls. 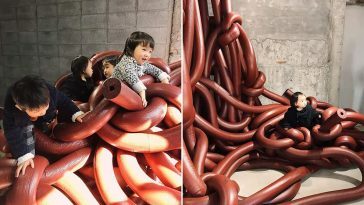 For his newest Irobukuro show his inspiration has been turned to imitate the vessels and scenery of Mong Kok’s Goldfish Market at Hong Kong, in which rows of colorful fish line stall after stall. 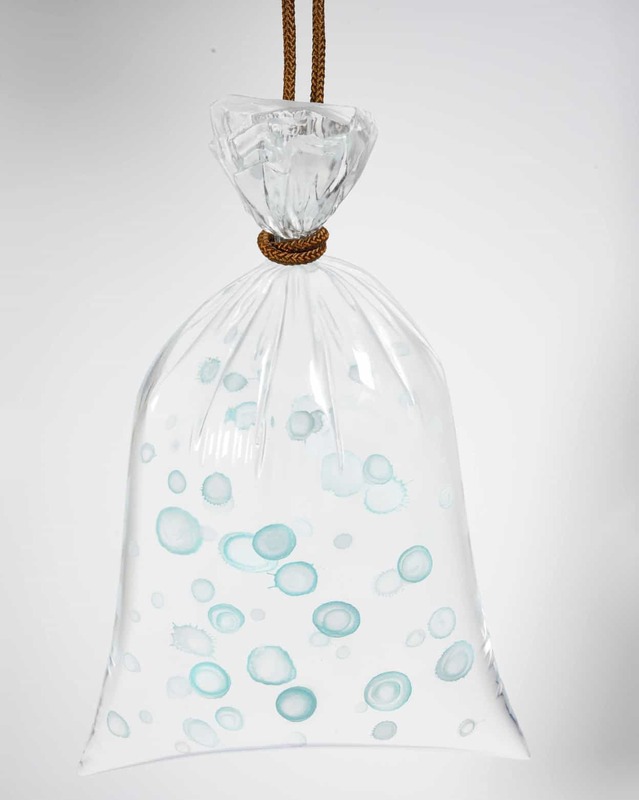 For the included functions he molds resin to resemble plastic bags filled with water. 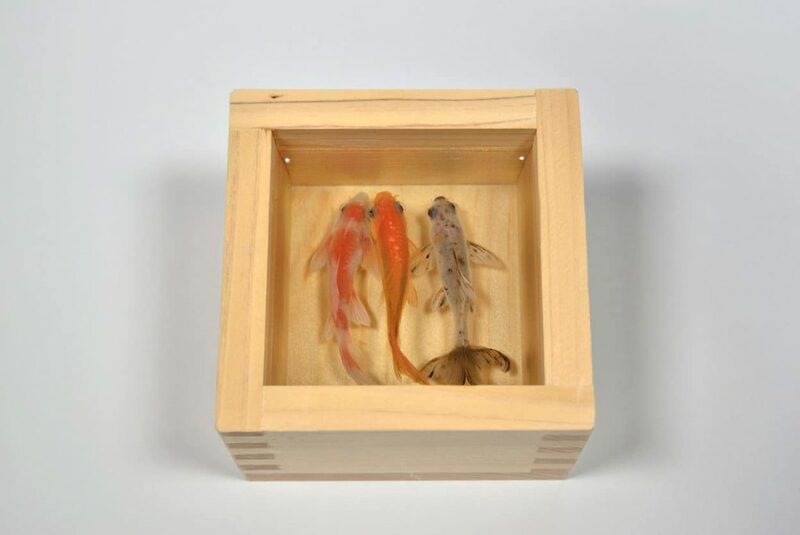 Rather than realistically depicting the in-depth scales, eyes, and fins of the fish Fukahori paints abstractly to catch the way the goldfish glide through the water. 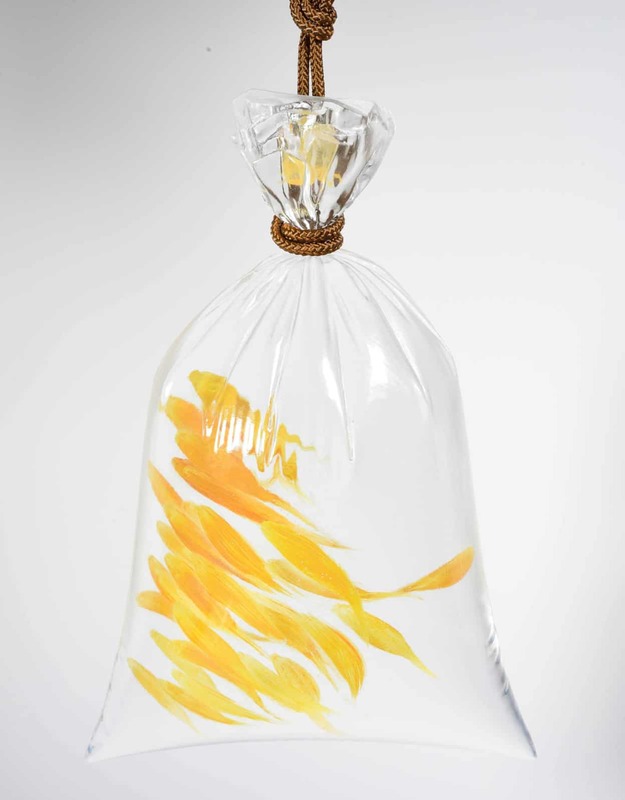 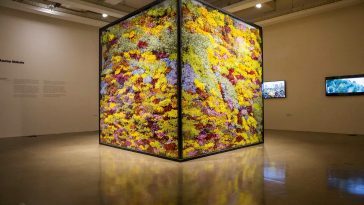 These works, together with some of his traditionally painted pieces in memory-laden items are included in his next solo exhibition with Joshua Liner Gallery in New York City, titled Goldfish Blossoms.